I know not everyone is a big butterscotch fan, though I can't say I really know why! Because I do love me some butterscotch. My question, however, is this - what even is butterscotch? I mean, it's basically just sugar, right? Like, sort of caramelized sugar? I could be wrong. I could go research this on the interwebs and find out for certain, but who wants to do that? I like to just conjecture wildly! 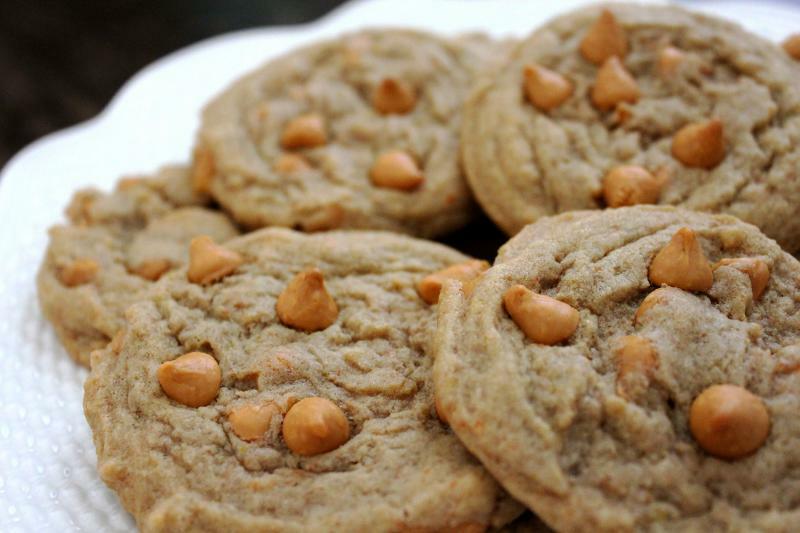 Anyway, I tried the whole chocolate chip cookie version of this, using vanilla pudding mix and, duh, chocolate chips, and they turned out pretty nicely, so I began to wonder just how a cookie using a butterscotch mix would taste. 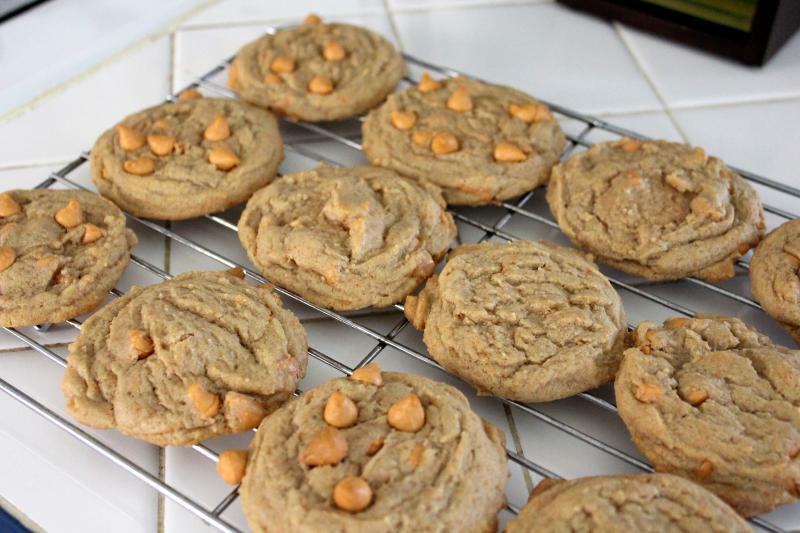 So here we have some straight up butterscotch chip cookies. I mean, these are full on. 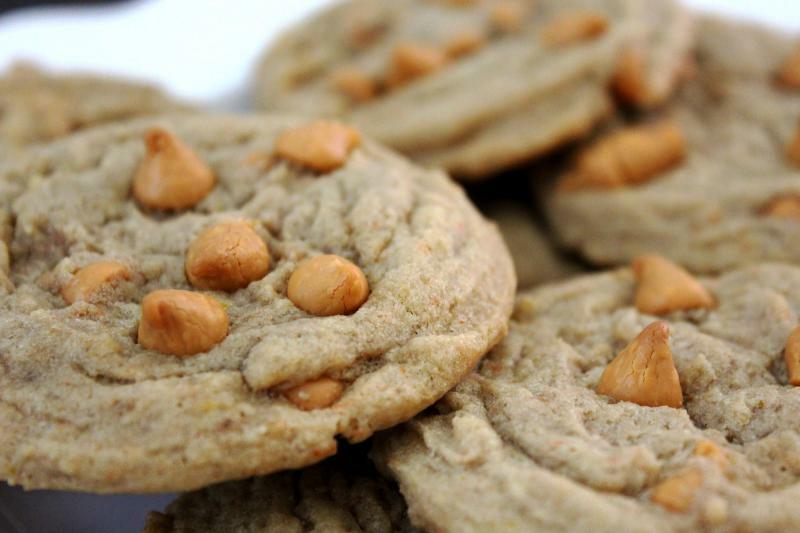 If you like butterscotch, you will love these. If you're not a big fan? Well, maybe steer clear. Don't say I didn't warn you. Maybe in the future I will try a variation on these cookies that are more reminiscent of my favorite cookie bars. Those have chocolate chips and marshmallows mixed in, and are deliciously gooey and sugary. Marshmallows don't always work in cookie form, though, so some experimenting may be in order. Nonetheless, if you don't want to wait around for that, try these out! 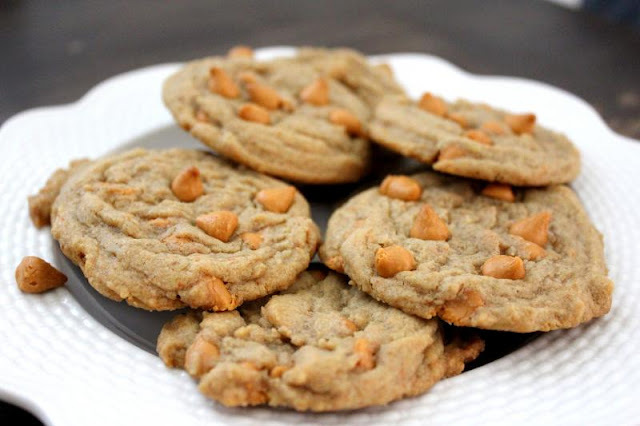 For the butterscotch lovers of the world, these butterscotch cookies are chock full of chips as well as pudding mix! 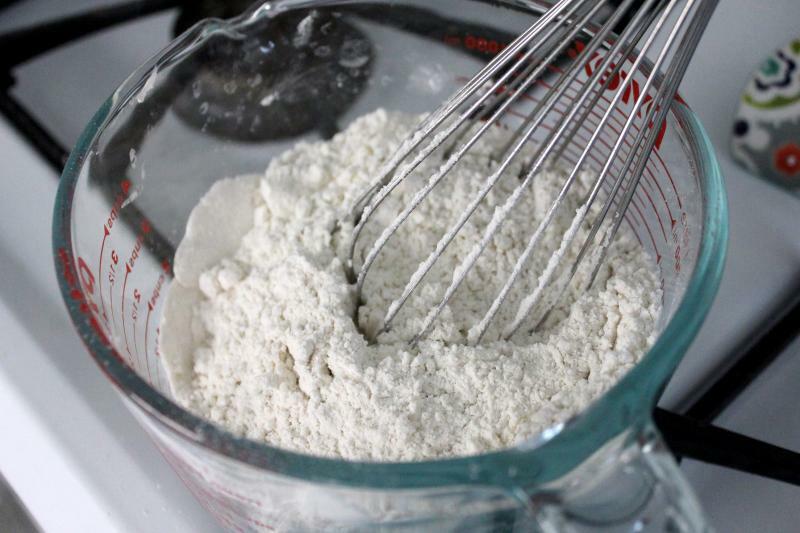 Whisk together your flour, pudding powder, and baking soda in a medium bowl. Set aside for now. 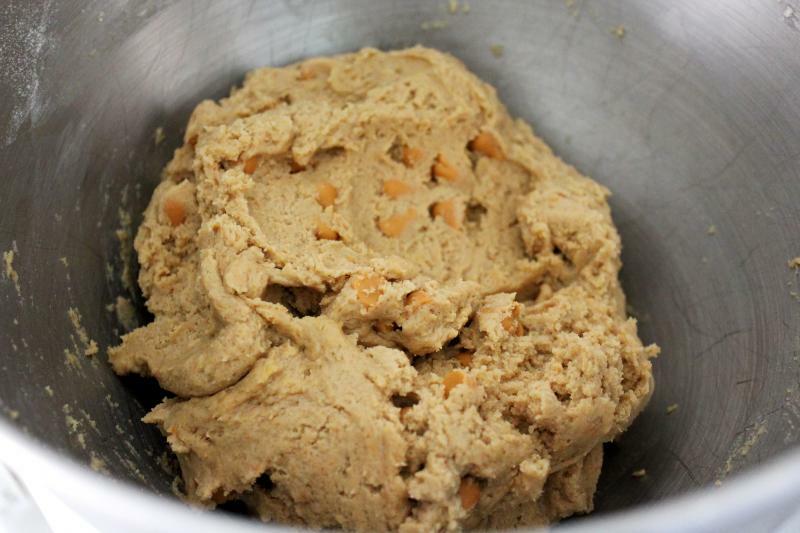 In a mixing bowl, beat together the butter and sugars until creamy. Then beat in your egg and vanilla until nice and smooth. Slowly add your dry mixture into your wet, mixing slowly until just combined. Stir in your butterscotch chips. Then cover that bowl and stick it in the fridge for an hour. Preheat your oven to 350F. Scoop out your dough, I use a scooper, and place onto a parchment or silpat-lined baking sheet about 2 inches apart. Bake for 10-12 minutes. Then, if you want a little extra, sprinkle immediately with the salt. 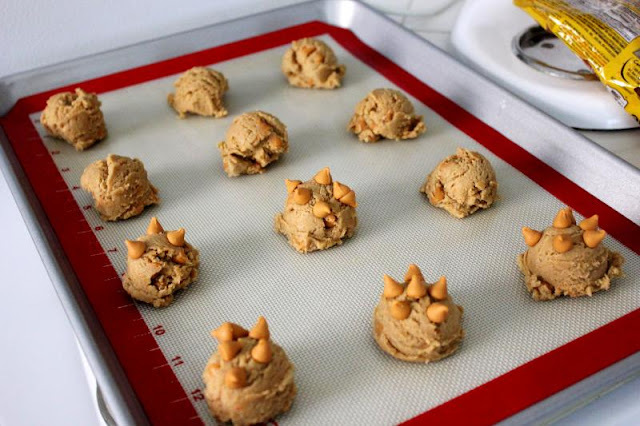 Cool for 5 minutes on the baking sheet, then you can remove them to a wire rack to cool completely. Whisk together your dry ingredients - flour, pudding mix, baking soda. 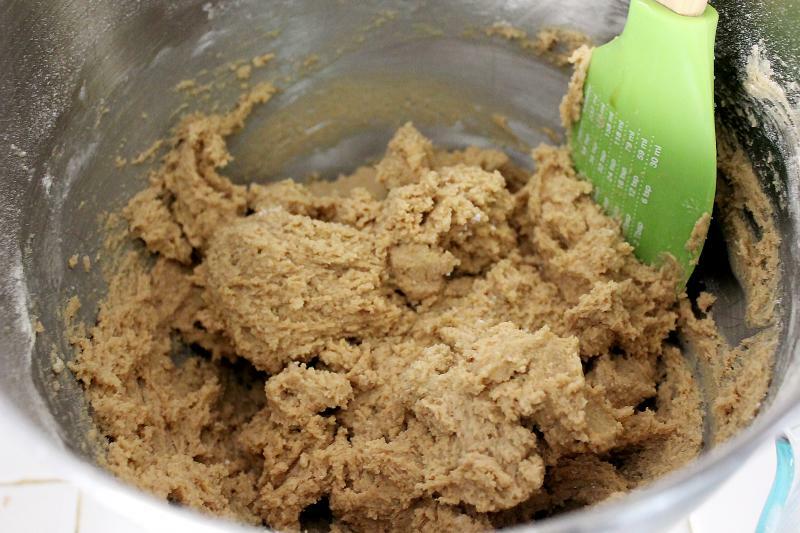 In your mixer, beat together your butter and sugars. Then, beat in your egg and vanilla. 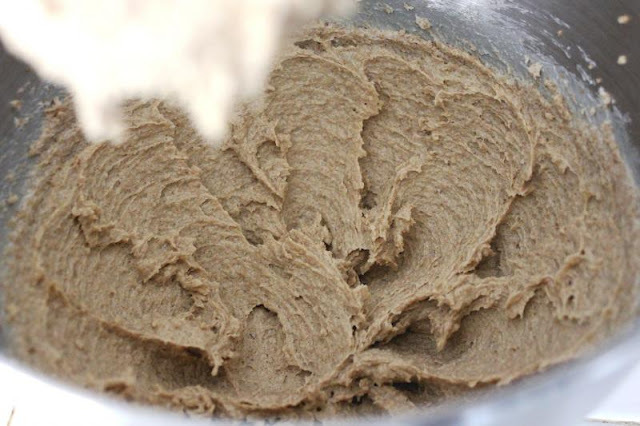 Finally, mix in your flour mixture until just combined. Then add in your butterscotch chips. You can totally use the whole bag here if you like, but I don't like an overabundance of chips in my cookies, so I only used maybe 1/2 to 3/4 of the bag. A very exact science here. Cover and stick this in the fridge for an hour. Preheat your oven to 350F. 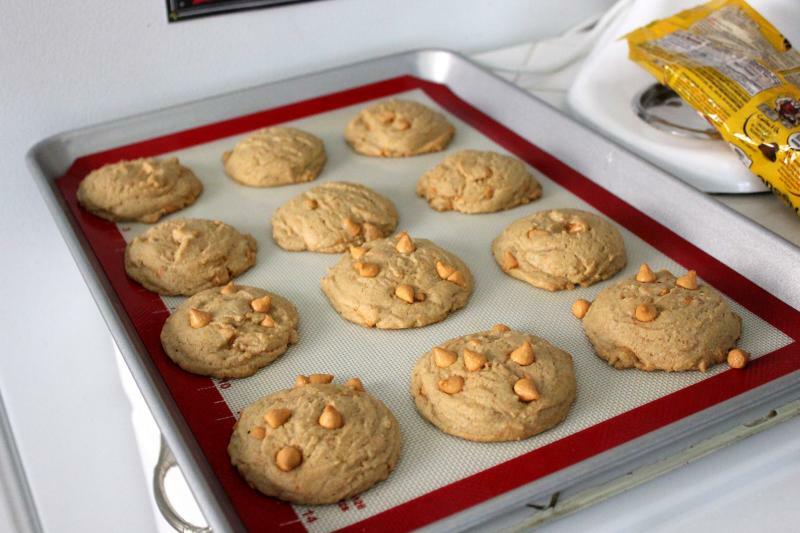 Then, scoop out your dough onto your silpat or parchment-lined baking sheet. If you want some chips to show on top, make sure to stick some on. I'm still working on the best way to do this! Bake for 10-12 minutes. You can see they are just starting to brown around the edges. That's about right. Let those sit on your pan for 5 minutes to continue cooking. Then you can remove them to a wire rack to cool completely. Then eat to your heart's content! These look delicious! If you want to try marshmallows, try using stale ones. I've had good results doing that for cookies, because the staleness helps them keep their shape and not melt all over. They end up soft and marshmallow-y without melting away and leaving weird craters in the cookies.